Scientists had thought that the silky anteater was a single species. Now having actually looked at the tiny animals, who spend most of their lives asleep in trees in remote parts of Central and South America, they realize there are seven species. At least. 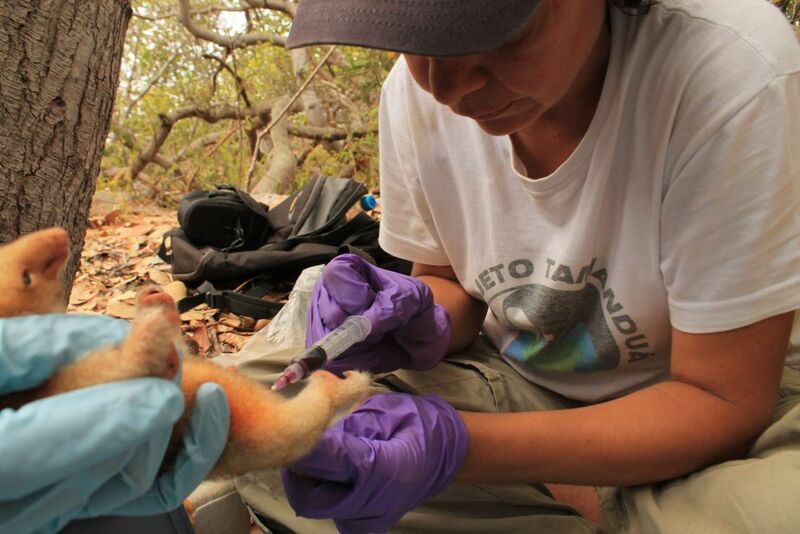 Following a decade of expeditions and analysis, a Brazilian team reports on the validation of three previously suspected silky anteater species and the addition of three more in the Zoological Journal of the Linnean Society. Altogether with the originally known one, that makes seven silky anteaters. 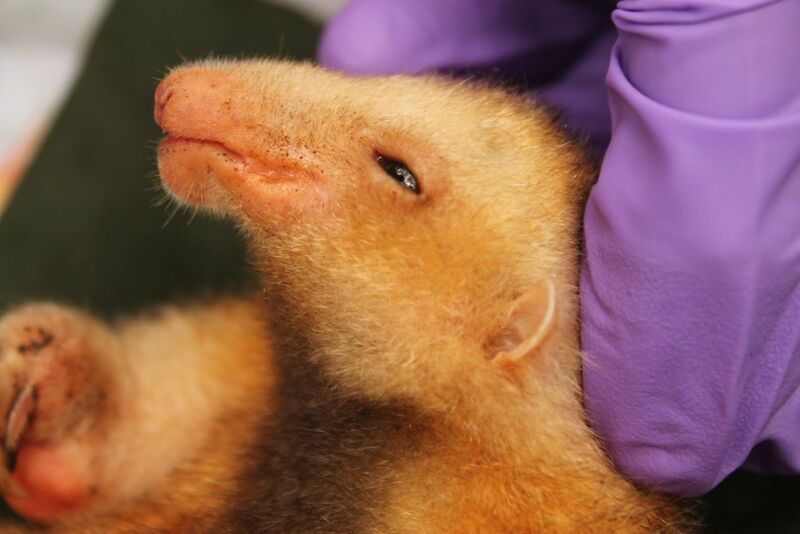 There could be dozens of species of silky anteaters – who knows. Not a lot of zoologists live in rain forest treetops and these things are strictly nocturnal, and small. Not that the animals, also called pygmy anteaters, are easy to see in broad sunlight. During the day, they find a shady spot in the canopy and curl their length of 35 centimeters, of which 20 centimeter is tail, into a tight ball. Their average weight is about 300 grams, the size of a hamburger. The characterization that this little anteater isn't one species but seven (if not more) followed a lot of climbing into the canopy to find the rare animals during 10 expeditions, and genetic analysis of more than 287 deceased ones found in museums. One species or seven, they have this in common: They don't do much and their metabolic rates are slow. Also, the living animal has very soft fur, Miranda tells Haaretz. * Perhaps the most obvious is the red silky anteater, Cyclopes rufus, from Rondonia, also in Brazil, which happens to be fiery red. That was quite the giveaway. It's nice that they were identified, but we may never get to know the silky anteater cousins. Their habitat is under threat from deforestation, mining, and agriculture, says Miranda, who also heads the conservation NGO Projeto Tamandua, which hopes to rescue sloths, armadillos and anteaters. Now we know there are more to rescue than we thought.